Q: What kind of training is required of your teachers? A: Our teachers are given on-the-job training with an experienced teacher to get familiar with the children they will be caring for and the routine of our centers. They receive safety training and are taught health and sanitary practices from the Director. Each new teacher must read the child care licensing rules for Utah and complete a minimum of 20 hours training each year. All of our teachers are required to be fingerprinted and must pass a background check in order to be employed at our centers. Q: What kind of safety and security features does Mother’s Helper offer? A: All of our locations are secure buildings; you have to have an access code to enter the facility. We have a computer at the front desk for parents/guardians to clock their child in and out each day. The Director or Leadership team member also manually writes down each child’s name and time as they come and go, ensuring that the number of children in care is accurate at all times. Upon enrollment parents provide a list of authorized adults that can pick up and drop off their child. We do not release a child to anyone who is not on the authorized list! We have security cameras in each classroom to watch and/or review if an accident occurs, or the care of a child is in question. Q: Do you offer infant care? A: We currently offer infant care at our Fort Union, Murray, and Daybreak locations. We only offer full time care for any child under the age of 2! Our Sandy, Murray, and South Jordan centers take children once they are 18 months old. Please contact your desired location for availability. Q: My child was sent home with a fever, can they return to care tomorrow? A: If your child is experiencing a fever, vomiting, or diarrhea they must be symptom free for 24 hours before returning to care. If you are contacted during the day that your child is sick they are required to be picked up by an authorized adult within 30 minutes of receiving the call. If your child is prescribed antibiotics they must be on them for 24 hours before returning to care. Q: Does Mother’s Helper accept funds from Department of Workforce Services? A: We do accept payments from Department of Workforce Services, but we WILL REQUIRE A CO-PAY if your payment does not cover the full tuition amount charged for the month. Other child care centers receive state subsidies for the food they serve, supplies used in their centers, toys, and playground equipment and can therefore accept only the DWS payment. As we are not receiving such subsidies from the state, our full tuition rates do apply. You will be given a notice at the beginning of each month with the amount and hours that were approved and also what, if any, copay will be due for the month. Q: What kind of Preschool program do you offer? 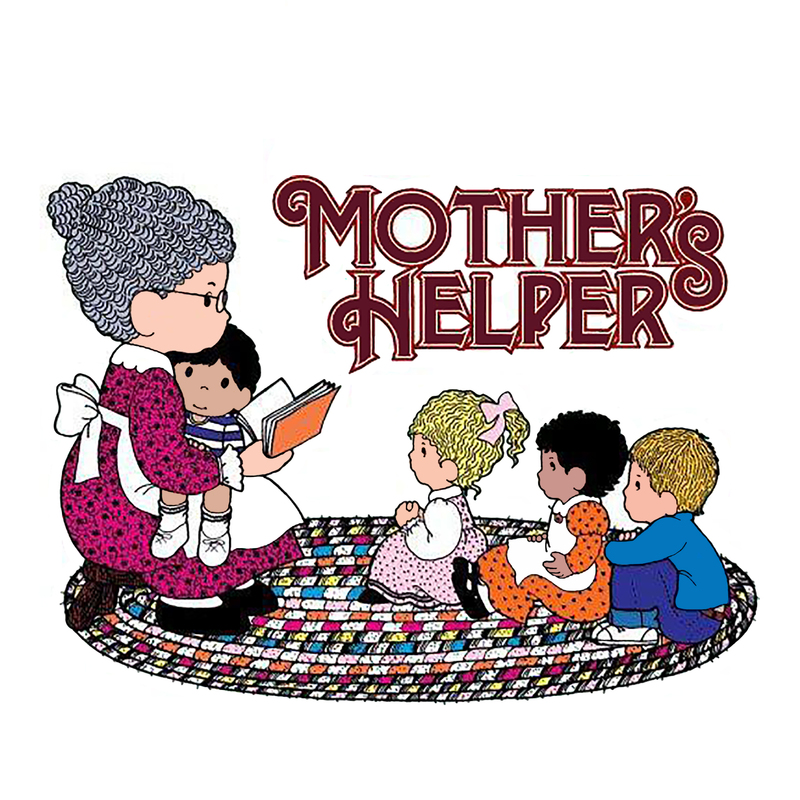 A: Mother’s Helper offers an AM preschool program. It includes Circle Time, preschool curriculum and project, morning snack, and lunch. For more details and pricing, please contact the location nearest you. Q: I work from home, but occasionally need to go into the office; can I drop my child off at Mother’s Helper? A: We do not offer drop in or temporary care. Depending on the age of your child we offer a minimum of 2 days per week, or half-days which are 4 ½ hours or less. However, these need to be set and scheduled days that are the same from week to week. Any child under the age of 2 will be charged a full-time rate regardless of how many days they come. Please contact the location nearest you for more details if you need part-time or half-day care that is consistent from week to week. Q: Can my child be enrolled if they just turned 3 but are not yet potty trained? A: Mother’s Helper requires children to be fully potty trained by the age of 3. This means your child is wearing underwear all day, can pull up and down their own pants, and wipe themselves with little or no help. Once enrolled we will begin training children at the age of 2 ½ and expect parent participation in training at home. If you feel your child is ready to begin potty training prior to 2 ½ let us know and we will happily help potty train while they are in our care. Q: What kind of school age program is available at Mother’s Helper? A: We offer before and/or after school care, including drop-off and pick-up at many local elementary schools. Check out the Locations page for a list of schools we transport to. Q: I’m interested in working at Mother’s Helper, how do I apply? A: Visit our Careers page for a list of current job openings. If you don’t see a current position or location you are interested in, please fill out our online job application and note your preference. We will contact you if your preferred location or position becomes available.